Heavenly Cabins -Privately owned luxury vacation rental homes. 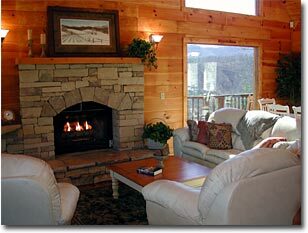 Enjoy the Smoky Mountains of Tennessee in an exceptional cabin in the peaceful, exclusive Wears Valley area. Centrally located near Gatlinburg, Pigeon Forge, Townsend and Cades Cove, Tennessee with easy access to the Great Smoky Mountains National Park. Pet Friendly cabins, some pets allowed with prior approval and pet fee. We personally maintain these cabins so that you can enjoy a memorable, trouble free vacation in our favorite place. We guarantee superior accomodations ! For availability & specials call 828-310-6305 . 2 bedroom, 2.5 bath, 3 level log cabin Sleeps 4-5 with Aero bed. Hot Tub, Game Room with pool table, Mountain Views. 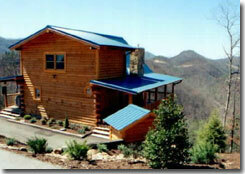 Prestigious Wears Valley location near Gatlinburg/PigeonForge/Townsend, Tennessee. Swimming pool access. Some pets allowed with prior written approval and a pet fee !! Read more and see the pictures & virtual tour. 3 bedroom, 3 bath, 3 level wood cabin Sleeps 8 with sleeper sofa. Hot tub, Game room with pool table, Views, Beautiful decor'. Swimming pool access. Some pets allowed with prior written approval and a pet fee !! Read more and see the pictures & virtual tour.